Life is about choices. What to wear, what to eat, where to ride… And if you pondered each one in advance, trying to get it exactly right, you’d be left far behind and barely make it out of your house. There’s something unique about touring by motorcycle whether it be spontaneous or calculated. Some riders want a state-by-state listing of the best motorcycle roads with in-depth descriptions of each highway and ratings for the road’s scenery, surface quality, and a description of the best greasy food stops. 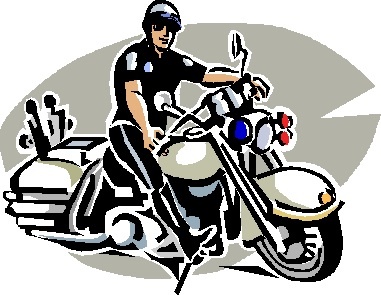 They obtain motorcycle maps, get motorcycle trip tips, reviews, suggestions, and more. Others are just fine to point the front wheel in a direction with back roads, freeways and cornfields without ever looking at a map. I’m having some personal restlessness and feeling a bit starved for rides this year. I was aiming for Laughlin, Sharkweek/Sturgis and Reno, but circumstances eliminated the first two. I don’t need to worry about Reno, yet. Although, when I last looked, I see all the local hotels have already raised their rates for those dates. Then I remind myself that the best rides I take are never the trips to any of the big rallies anyway. And speaking of the heightened motorcycle adventure called Sturgis (August 6-13th) — prep is in full swing for the 76th Rally celebration which starts in a couple weeks. Last year Harley-Davidson announced that the motor company is now the “official motorcycle” of the annual Black Hills Rally in Sturgis, South Dakota (through the year 2090!). And until November 2015, nobody had ever successfully trademarked the name of a city, but Sturgis Motorcycle Rally, Inc. is the official sponsor of the Sturgis Rally and it has trademarked “Sturgis,” “Sturgis Motorcycle Rally,” “Sturgis Rally & Races,” “Take The Ride To Sturgis” and “Sturgis Bike Week.” The corporation has also trademarked the official Sturgis rally logotype or picture mark. The oldest of these trademarks dates to 1997 and the most recent was registered in 2011, just before their suit was filed. 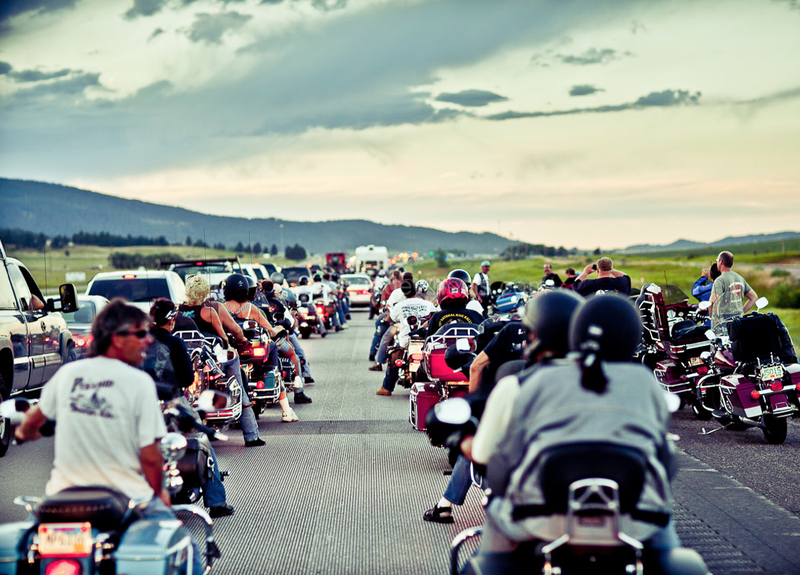 The Sturgis Motorcycle Rally, Inc., won that trademark infringement case against Walmart. But, I’ve moved off topic where every American should try at least once the Legendary Steak Tip Dinner at the Loud American Roadhouse (no colors policy strictly enforced). 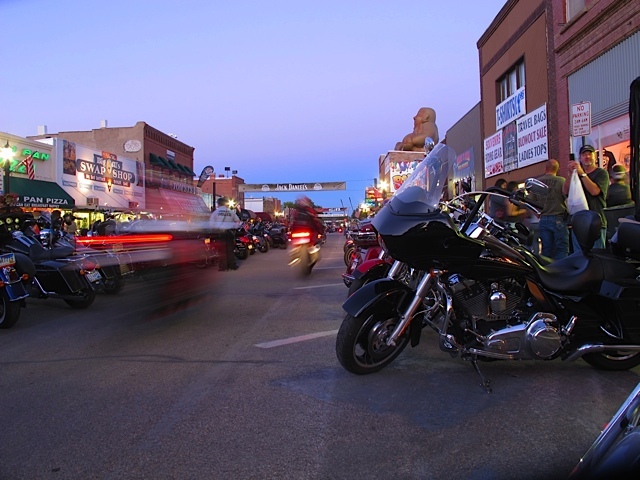 The Harley-Davidson Rally Point is a their permanent year-round space in Sturgis that will feature events and live music daily from the stage. Kick-off Party for the 76th Sturgis Motorcycle Rally, Friday, Aug. 5, at 3 p.m.
Mayor’s Ride featuring Grand Marshal Ben Bostrom, Monday, Aug. 8. Harley-Davidson Editor’s Choice Bike Show, Tuesday, Aug. 9- Registration 8 a.m./Awards 4 p.m.
First Ever Angel’s Ride, Friday, Aug. 12 – The number of women riders is on the rise. 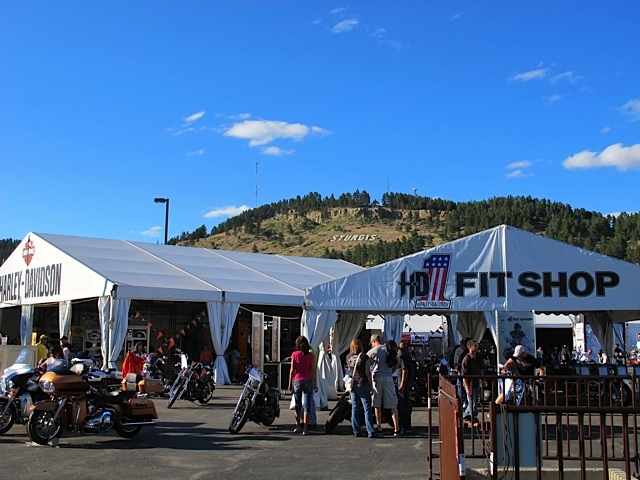 H-D Fit Shop and Genuine Motor Parts & Accessories area is new this year will have a “Quick Install” area for 30-minute or less installations of selected accessories for your motorcycle. Better than a selfie stick! Pro Bike photos taken of you/your bike to post on social media and an option to purchase the photo as a keepsake. In addition, there are many, many other “not-to-be-missed” activities around town, in the camp grounds and at various music venues. Whether you are spontaneously twisting throttles to South Dakota or making a road trip that is highly calculated — Enjoy! @HarleyDavidson social media is providing wall-to-wall coverage at #LiveYourLegend. The official H-D Sturgis App, is at: www.h-d.com/sturgis. 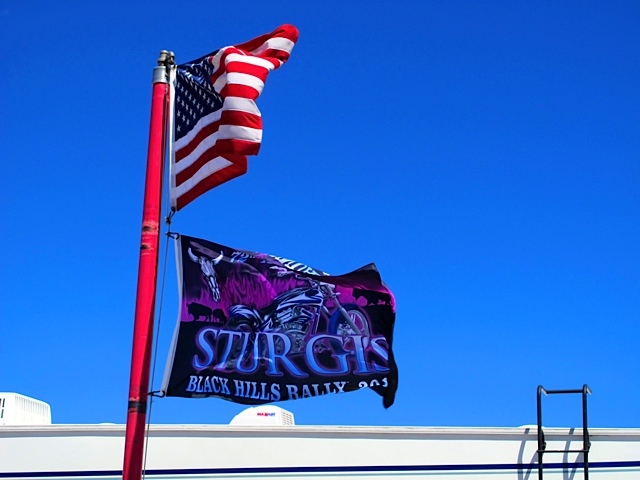 At the 2012 Sturgis Rally attendance was up 7% (official est. at 450K) and in all, the city of Sturgis spent approximately $960K to host the 6-day event which generated nearly $1.4M in revenue. Nearly $400K profit for the city which has more than double the net profit from the 2011 rally at $197K. There were 1,012 vendors registered vs. 976 in 2011 and gross sales by vendors were $13.1M compared to $12.6M in 2011. And the man who made Sturgis? There are several who come to mind, but one near the top of the list would be Steven Piehl, the Harley executive who invented the Harley Owners Group (HOG). In 1983, Mr. Piehl worked under Harley’s General Sales Manager, Clyde Fessler, and was given 3 months to launch the program. They promoted the rally to hundreds of thousands of HOG members and is at least in part responsible for the transformation of Sturgis from a biker party into a profit center. Mr. Piehl was inducted into the Sturgis Motorcycle Museum and Hall of Fame last year and received the JC “Pappy” Hoel Outstanding Achievement Award for establishing HOG. Motoring USA is the consultant group that essentially coordinates the Sturgis rally for the city as they help line-up sponsors (Harley-Davidson, Dodge, Jack Daniels, Geico etc. ), vendors and publish the official rally magazine. For their 2012 services they were paid more than $308K ($163K commissions/fees and $145K to publish the official guide). Ironically, the city of Sturgis paid the Sturgis Motorcycle Rally Inc., $26,944 in licensing fees to use the “Sturgis” name! Clearly corporate America has found the motorcyclist market and made the profit driven transformation. Those are a few of the financial aspects of the motorcycle rally. Sadly, 9 people died at last year’s rally-related accidents and collisions. In 2011 there were 4 deaths. And you might have been one of the unlucky riders trapped on the freeway in 2010 after a semi-trailer caught fire (video HERE) and closed the interstate (see above photo)? It’s also well known that at the Sturgis Rally large numbers of law enforcement descend on the area to make sure those 450,000+ bikers don’t get out of hand. On any typical week the city has 15 officers to keep the community of 6700 safe. During rally week it pays a hefty amount for law enforcement hiring people from nine different states. The city police budget in August is estimated to be in excess of $300K to cover salaries, equipment and other expenses for the event. Visiting officers are housed and receive two meals a day. In addition, there are also significant numbers of federal agents (FBI, ATF, U.S. Marshals Service, the National Guard, the Bureau of Land Management and even the National Forest Service) on hand. However, budget cuts known as sequestration have stalled the Bureau of Alcohol, Tobacco, Firearms and Explosives attendance and for 2013 there will be fewer federal agents available to keep an eye on things for the first time in 10 years. The value of announcing this information to the public prior to the rally is interesting. Is it to alarm the public? Is it an open invitation for the motorcycle clubs to restart some of the “wild times” prevalent in years past? Historically, more than 20 ATF agents patrol Sturgis during the Rally. This year there will one agent in Rapid City who will be on call when the rally officially starts on August 5th. Remember the 2006 rally shootout between the Outlaws and Hells Angels at Custer? 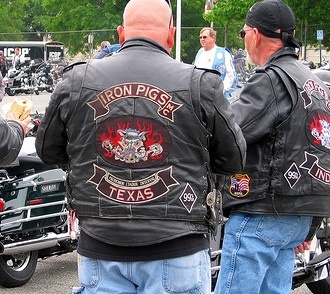 How about back in 2008 when Sturgis ended with the first shooting in over 20-years where the Iron Pigs (off-duty Seattle LEO – Ronald Smith) had a confrontation with the Hell’s Angels (Joseph McGuire) at the Loud American Roadhouse? Anytime there is a large gathering of people, there is a potential for an incident, but I would anticipate if any intelligence or threat hits the radar we’ll see it rain law enforcement personnel sequestration or not. It wasn’t too long ago, the rough, anti-materialistic, anti-authoritarian attitudes showed up on motorcycles en-masse at Sturgis. The motor company that helped put Sturgis on the map and was once so revered that men tattooed its name on their arms, is now more about demographics, international expansion in China and India and tapping female consumer spending. For example, Claudia Garber, Harley’s Director of Women’s Marketing Outreach, worked the 2012 rally to convince affluent, professional women that Harleys are really fun to ride. Yes, the transformation of Sturgis from a quaint biker party into an enormous profit center is fully complete. Stay classy Sturgis! Interstate photo courtesy of Renegade Wheels, other photos taken by author at 2012 Sturgis Rally. 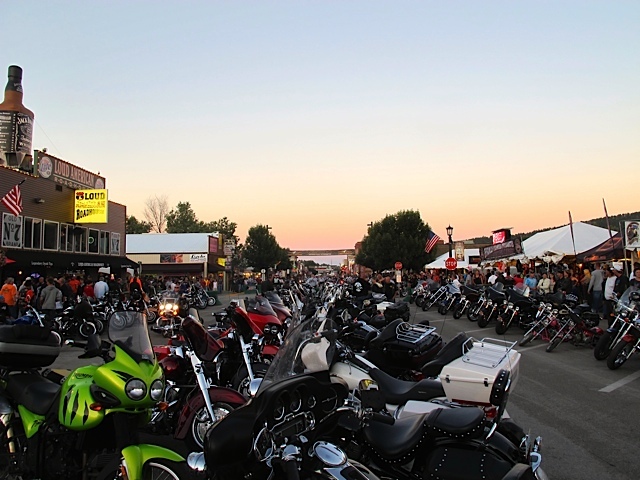 The 2012 Sturgis stats are HERE (.pdf). Can embarrassment and personal demons be squelched with money? It would seem so and that $169,800 is all that’s needed! I’m referring to the Iron Pigs MC member and Seattle police detective Ronald Smith. It probably comes as no surprise that Smith, who as you may recall shot a member of the Hells Angels MC in Sturgis a couple years ago has filed a lawsuit against the city of Seattle and the Seattle Police Department. The suit alleges the department disparaged him and negligently provided false information that led to his indictment on a perjury charge. Disregard that all charges were dropped and why let any of the facts get in the way when Mr. Smith sees dollar signs. The only thing missing in this little drama is an attorney to throw in the proverbial race card and get the ACLU marching. I’ve blogged about this incident HERE, HERE and HERE as well as provided a number of updates. A brief recap is during the annual Sturgis Motorcycle Rally, Smith, who was in Sturgis with members of the Iron Pigs, a motorcycle club composed of LEO’s and firefighters shot and wounded a Hells Angels MC member, Joseph Patrick McGuire, in self-defense during a fight in the Loud American Roadhouse on Aug. 9, 2008. Smith was charged in Meade County, S.D., Circuit Court with the felonies of aggravated assault and perjury. He also was charged with a misdemeanor count of carrying a concealed weapon without a permit. That working for him part was absolutely correct! Shortly after Mr. Kerlikowske became the “drug czar” or the director of the Office of National Drug Control Policy for Obama. He is responsible for advising the president on drug control programs, and for coordinating drug policies among all federal agencies. My point? While the various bloggers have raged back and forth between supporters of the police to distrust of the police and the justice system…could someone, even the Seattle Police Chief please just apologize to Mr. Smith before he continues to take all of your hard earned tax dollars. Photo courtesy Flickr and Iron Pigs MC.